plytho wrote: I loved it, my guests loved it. Thanks for sharing the recipe. 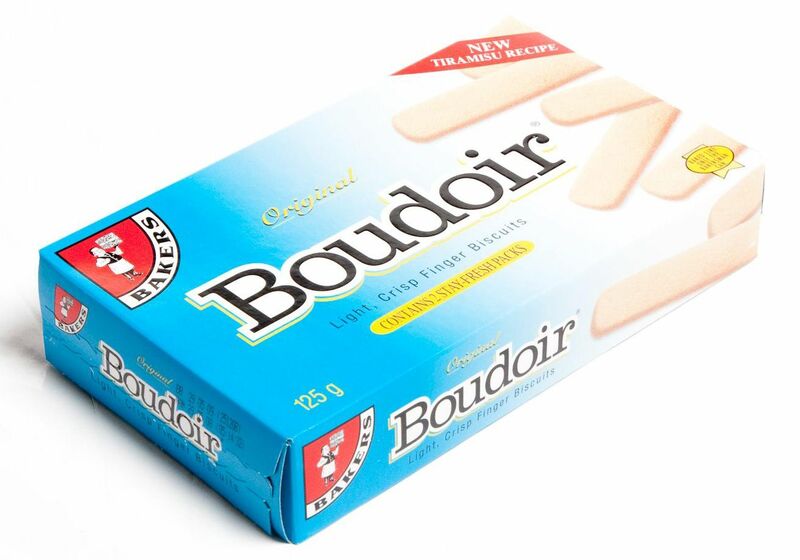 Here in South Africa the most easily obtained brand calls them Boudoir biscuits for reasons that are as unclear as the origin of is uncomfortable to speculate about. Zohar wrote: Also ate about half a jar of Nutella with a spoon. Does that count as cooking? You mean you made a low-effort chocolate hazelnut mousse? It's been raining non-stop. Between yesterday and today the kiddo and I have made pancakes, low carb pancakes, fisherman's pie, spicy pumpkin soup, potato and bacon soup and roast tomato soup. freezeblade wrote: Thanks for the well wishes everyone went off without a hitch. I apologise for communicating badly; the brownies got a lukewarm reception however me personally feel welcome and wanted and it's a nice place. Thank you though. Had a cocktails and karaoke party on Friday for my upcoming birthday. Made lots of snacks, at least half of which were things wrapped in bacon (cream cheese stuffed jalapenos, baby potatoes, prunes, mini pork chipolata sausages). Also made my own take on mojitos and sangria. Well thanks a lot now I want saag paneer. Although, I couldn't have done too badly, got invited for an interview on Monday. Made loads of things for the boy's 5th birthday party. smitten kitchen's chocolate cookies in these awesome 3d dinosaur cookie shapes; dinosaur birthday cake (yellow cake with buttercream); dinosaur cake pops thingies in this other cool dinosaur mold; and other things. So my kid is apparently hugely intelligent and probably ADD. Poop. I'm not looking for advice (just yet); I'm just venting. Lots of thinking and reading to be done.